I covered Christmas dinner in the Irish Times Winter Food and Drink magazine in November. But for those who may have lost their copy, to reiterate, I would suggest a Pinot Noir, Syrah (from the Northern Rhône) or Shiraz, or Grenache to go with turkey. From Spain, a Rioja Reserva will do nicely, although I would be tempted to try a lighter red from Bierzo. I know many of you will ignore me completely, but a tannic Bordeaux is not the ideal partner for turkey. Do start the day with something nice – Champagne is great if numbers and budget permit. A Chardonnay of some sort would be the traditional white option, and most work very well with a fishy starter and the turkey, too, if required. But this year, why not experiment a little with a Godello from Galicia in Spain, a Grüner Veltliner from Austria, or a Chenin Blanc from South Africa? All three offer great alternatives. A Soave or Vermentino from Italy would also do very nicely. However, I have a bottle of the Viognier, pictured on the page, stashed away for our Christmas dinner. Roast beef is popular for post-Christmas get-togethers. A rib roast is a brilliant partner for most reds, Cabernets and Bordeaux in particular. Jus de Vine has the lovely Château d’Angludet 2012 for a very competitive €40. Alternatively, the delicious concentrated tannic Nebbiolo (below) would be fantastic. The wines of Viajra, from the same region are also worth looking out for in independents. Just don’t try them without food. Both Cabernet and Nebbiolo go very nicely with that other seasonal favourite, roast goose. If you are serving something sweet, such as red cabbage or an apple stuffing, then Pinot Noir or Rioja is a better bet. 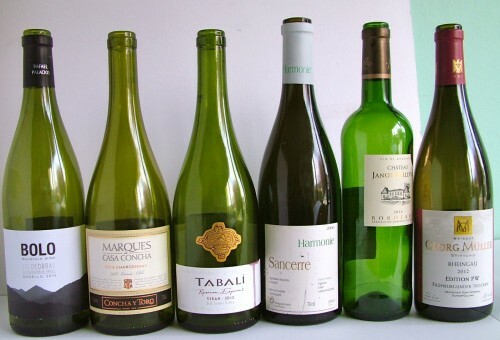 If you only drink white wine, go for a really good Riesling from Alsace or Germany, or a rich Pinot Gris. Turkey curry is traditional in some households, and here I would go for a Pinot Gris or good Pinot Grigio, a Grüner Veltliner from Austria, or maybe a rich Garnacha from Spain. I like my turkey and stuffing sandwiches accompanied by a light refreshing Beaujolais or a Mencía from Bierzo. A few last minute buys: Mail order company Wines Direct has two Chardonnays, the excellent Chablis Moreau 2015 (€23.15) and the delicious Maillet Macon-Villages 2014 (€23.25). Whelehan’s has the lovely rich Bierzo Godello Luna Bebride (€19.95) and O’Briens has the very keenly-priced Pouilly-Fumé Domaine de Bel Air for €16.95. I recently came across the very well-priced Fonseca Quinta do Panascal Vintage Port 2001 for €30 from SuperValu. I love the days following Christmas, when I open up random interesting bottles. This will certainly include a German Riesling Trocken and a good bottle of Amontillado Sherry, along with many others. A very attractive well-priced Sauvignon with tangy green fruits and a crisp dry finish. Delicious firm austere dark fruits; perfect with beef or goose. Terroirs, Donnybrook; JJ O’Driscolls; The Corkscrew; Karwig Eines. Peaches and pineapples perfectly balanced by a cleansing acidity. Exquisite wine. Stockists: Jus de Vin; La Touche; Searsons; Bottle Shop, D7; Green Man Wines. ; One Pery Square. 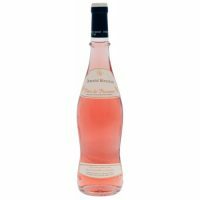 €16.95 from Gibney’s, Malahide; The Wine House, Trim; Drinkstore, Stoneybatter; Nectar Wines, Sandyford; Grapevine, Dalkey; Karwig Wines, Carrigaline. Not much on the nose, but lovely pure strawberry fruits on the palate. Medium-bodied and textured, you could drink this on its own, but we found it even better with food. 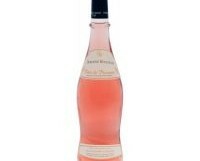 Rosé is a great food wine and this one is no exception. Drink with summery Provencal salads, including tomatoes, tapenade and anchoïade and all sorts of summer vegetables. Herb-scented fish dishes would do very nicely too. Houchard is owned by the Quiot family, proprietors of a number of estates further north in Châteauneuf-du-Pape and the Ventoux. Made from a blend of four grapes (Grenache, Cinsault, Cabernet Sauvignon and Syrah), this wine is richer, with more fruit than most Provence rosés. We enjoyed it immensely in sunny West Cork. Fewer bottles last weekend, mainly because I spent Saturday down at the West Waterford Food fest in Dungarvan. My first time, and a great event if you haven’t been. €13.99 from Searsons, Monkstown, The Drink Store, D7. An attractive light refreshing crisp dry white, without any of those confected fruits you find in southern French Chardonnays. Nice well-priced wine, perfect by itself or with fish and seafood. €21.70 from Karwig Wines, Carrigaline, Co. Cork. Not cheap for a wine from the Languedoc, but still very good value. Delicious full-bodied wine crammed with swarthy dark fruit s, a touch of oak, and a long satisfying finish. Perfect with red meats. From down in Limoux, a lovely light piquant Pinot Noir. O’Briens usually bring it in, so hopefully it will appear over the next few months. I bought this, for around €35, from 64wine recently. Owner Gerard Maguire suggested I stash it away for a few years – advice I should have heeded. As he said, it is an excellent wine (imported by Burgundy Direct I think) but very closed and quite tannic for a Burgundy. 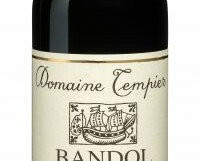 It does however, have a wonderful unevolved nose, and masses of tight dark cherry fruits and good acidity on the palate. I decanted and enjoyed it. 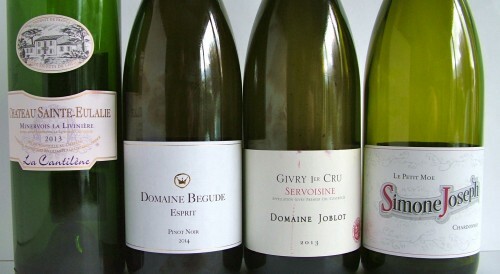 A quick run through of last weekend’s drinking; some very nice wines, and some great value too. Delicious rich plump pear and peach fruits, good acidity – almost like a Chardonnay in style – lovely wine. Very attractive rich nectarine fruits, a touch of oak/nuts, nicely balanced, well-made wine. 14% €14.95 from Whelehan’s Wines, Loughlinstown. Lovely wine; dark cherries, savoury plums and black pepper, now smooth and very moreish. I was given this by Francoise Gilley of Terroirs in Donnybrook with the instruction to keep it for a few years. So I did. And she was correct; lovely honeyed wine with a crisp mineral acidity, some soft peaches, and lovely length. Very attractive moreish wine with delicate piquant fresh red cherry fruits, some smooth tannins, a little oak and a very decent finish. I reckon it would go very nicely with duck. Very attractive modern Bordeaux with generous plum fruits and light soft tannins. Very good value too.